During my most recent visit to Islands of Adventure a friend and I decided to eat lunch at the Backwater Bar, which is part of Confisco Grille. I’ve eaten there a few times before and wanted to give it another try, as it’s what I consider to be the best bang for your buck restaurant in IOA. 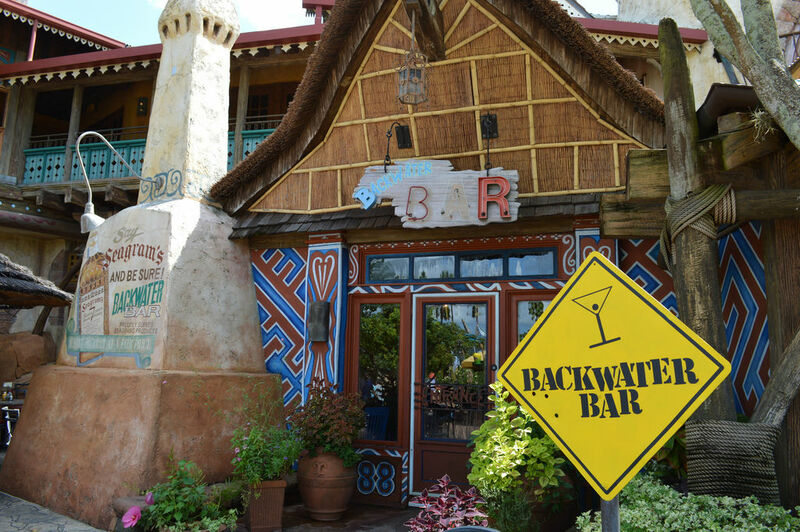 The best part about eating in the Backwater Bar is that you don’t have to wait for a table; you can just walk up to the bar and order food along with a wide array of drinks. Guests can eat at the bar or sit at one of the few tables inside the bar space. There is also a large patio outside with covered tables where guests can enjoy their drinks on days with favorable weather. You may notice the large signage out front that includes what appears to be an ad for the Seagram company. Many guests don’t realize that Seagram owned Universal Studios in the late 1990s, when IOA was built. This time around we didn’t order any appetizers, but I would highly recommend the Trader Wings with the Peach Chipotle BBQ flavoring. The sweet and smoky flavoring is delicious and makes for a great snack or can even be an entrée. Celery and a chunky bleu cheese dipping sauce are included as well. For an entrée, I ordered the Penne Puttanesca and my friend ordered the boldly named An Adventure in Fajitas (this is Islands of Adventure after all). The penne features Italian sausage, kalamata olives, fried pepperocini and roasted garlic tossed in a vodka tomato cream sauce. For those of you that require gluten free or vegan meals, this dish can be prepared for you in that manner (as well as others on the menu.) Overall I enjoyed the penne, as the sausage was mild and the vodka tomato cream sauce added great flavor to the pasta. If I were going to order it again I would leave out the fried pepperocini, as it was a little too spicy and a tad bit greasy. It should be noted I’m not a fan of fried foods to begin with, and this really didn’t do anything to accentuate the dish in my opinion. At $11.99 this is a steal for being inside a theme park. 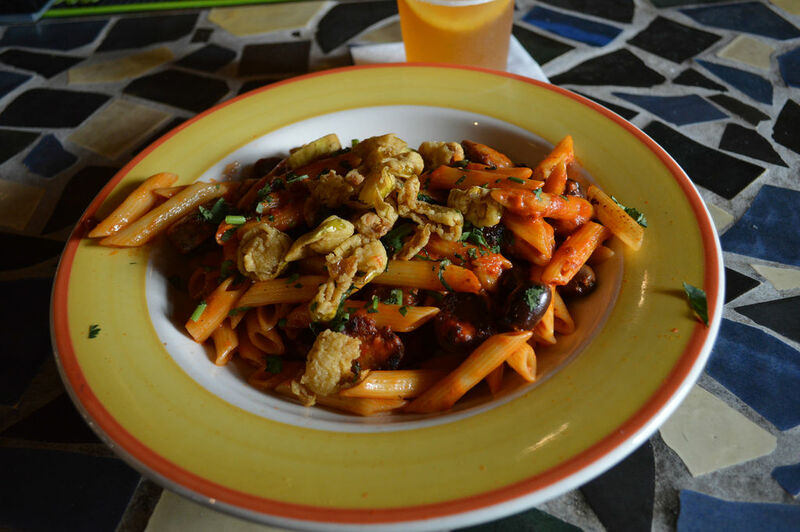 The watery-sauced pasta they serve over in Toon Lagoon is priced around $9 and isn’t very filling or flavorful. I also tasted the fajitas and they did not disappoint. The chicken was cooked to perfection with the accompanying onions and peppers. The tortillas were served in a separate container, and the dish also included cheese, lettuce, salsa, guacamole and sour cream. We ordered a side of pico de gallo as a garnish instead of guacamole. Having eaten fajitas in other restaurants off property, I find these to be of better quality than the fajitas I’ve eaten at Applebees and Chilis. 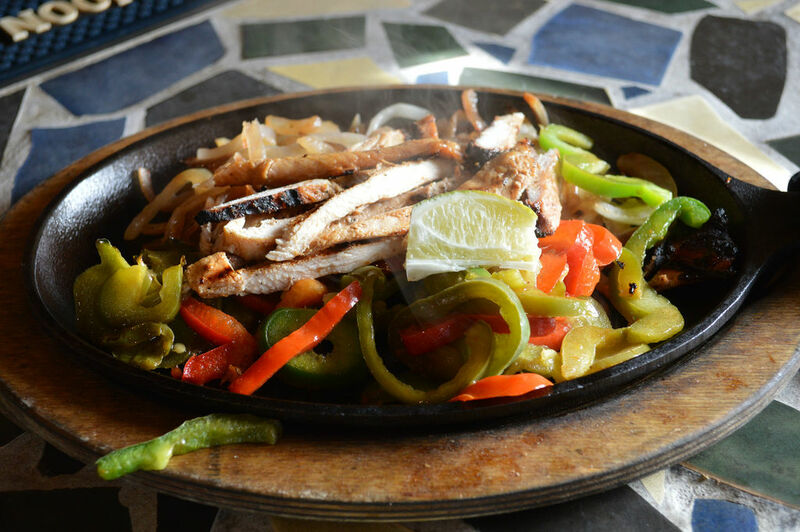 For the great theme park price of $13.99 for chicken, $14.99 for beef or a combo of the two for $16.99, you can’t go wrong taking the grand adventure that is fajitas. Some of the many items throughout Confisco Grille. 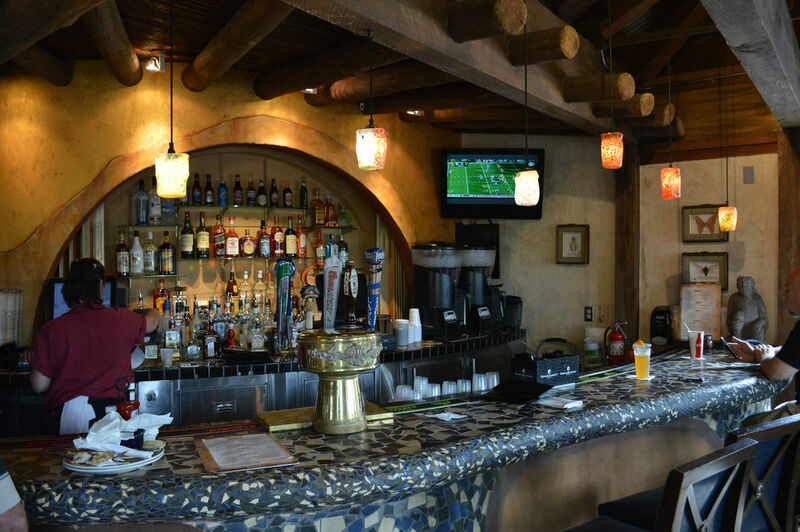 – Backwater Bar has the only television in IOA, and on Sundays it’s always tuned into the NFL! 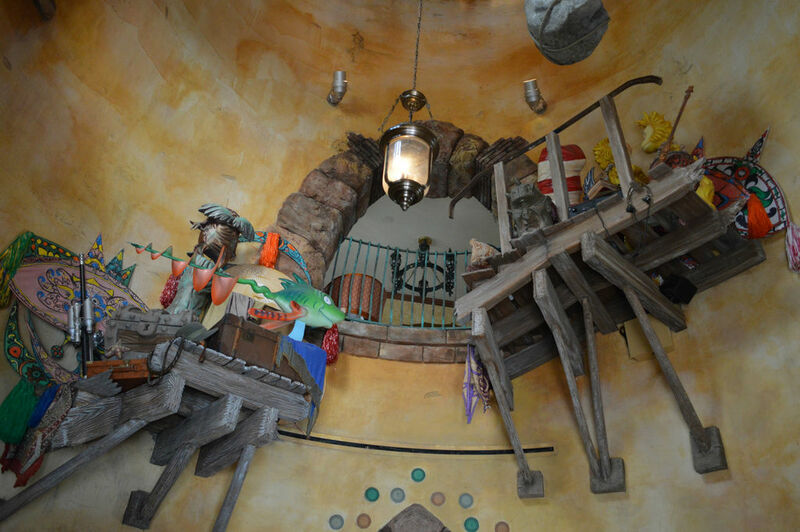 – They have a Happy Hour with two-for-one draft specials, a rarity in the theme park world. – Several of the items on the menu can be prepared Vegan or Gluten Free.